(Newser) – The New York Police Department has begun disciplinary proceedings against a white officer nearly four years after he was accused in the chokehold death of an unarmed black man who gasped, "I can't breathe." 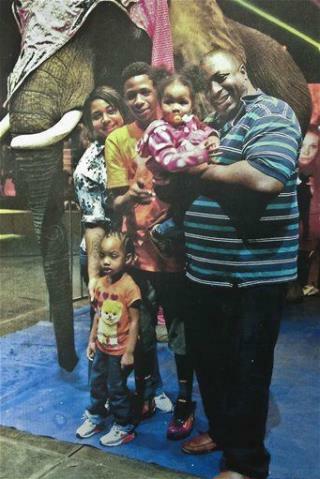 A police spokesman says departmental charges were presented Friday to Officer Daniel Pantaleo regarding the July 2014 death of Eric Garner, the AP reports. Police officials had been waiting to see whether federal prosecutors would bring criminal charges but decided to move forward. In a sharp letter, the NYPD's senior lawyer told the Justice Dept. about a disciplinary case that could get Pantaleo dismissed because "there is no end in sight" in the federal investigation, reports NBC New York. A police watchdog agency called the Civilian Complaint Review Board will prosecute Pantaleo, who has had a paid desk job since Garner's death. A grand jury declined to prosecute Pantaleo in 2014, notes CBS New York, and the Justice Dept. launched a civil rights probe that apparently never came to fruition. Pantaleo appears on a cellphone video putting Garner in an apparent chokehold, which is banned under NYPD policy, but Pantaleo's lawyer says he used a takedown move taught by the police department and expects to be vindicated after trial. Garner's death became a rallying cry for protests about police department treatment of black people. Next.. While pursuing a suspect you will not be able to tackle, taze nor grab their hair... If they do not stop upon request.. YOU MUST LET THEM GO. How long would it take the DOJ people to understand the lethal effects of a choke hold? LAPD murdered many people for decades before abolishing the death grip. However, the illegality does not bar zealous and murderous police people from the temptation to deploy the death grip.